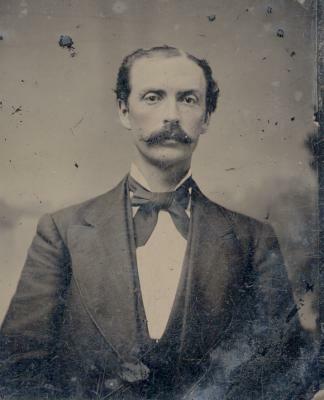 My great-grandfather James Francis Tillotson was the son of Franklin James Tillotson and Jane Ann Sexton. James was born on August 29, 1849 in Brunswick, Medina County, Ohio. He appears as a one year old child in the 1850 U. S. Census. James grew up in Elsie, Michigan and Crete, Illinois. While working at the Chicago Stock Yards as a livestock inspector, James met Clara M. Stahler (1852-1925) who was working as a maid in the transit house at the Stock Yards. Clara, the daughter of German immigrants Jacob Stähler and Catherine Turk from Wisconsin, was a Catholic. This did not set well with the parents of James, especially his mother. Clara's family was likewise not impressed with James at first, as they expected Clara would marry someone from the local German community. 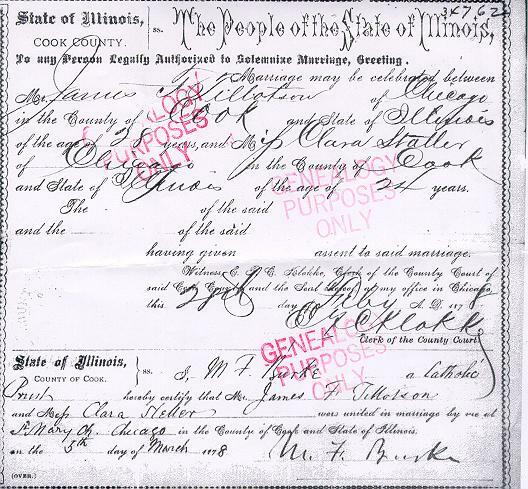 When James and Clara married in Chicago, Cook County, Illinois on March 5, 1878 (see their marriage certificate (80K)), no one from either of their families attended their wedding. James and Clara produced five children. Robert Francis Burns, my father (1914-1999). Jennie May Tillotson (1882-1963). She married Harry Vandenberg. They had no children. May Tillotson (1885-1886) died at the age of eight months. Milo Tillotson (1893-1893) died at the age of three months. Children of James Francis Tillotson and Clara M. Stahler. 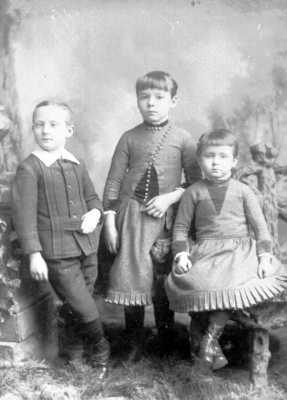 Left to right: Frank James Tillotson, Eva Josephine Tillotson, Jennie May Tillotson. James never became a Catholic, but he did allow his children to be reared as Catholics. In other respects their strict upbringing had more in common with James's own conservative Prostestant background, thanks to Jane Ann's influence. James worked as a freight inspector for the Western Railroad Association in the Chicago Stock Yards for over twenty years. You can read some letters to his mother Jane Ann which James wrote in 1877 through 1882. These letters provide glimpses of the type of work James did at the Stockyards. James died of Tuberculosis on June 11, 1893 at the age of 43 (see his funeral card (25K image)). James was able to draft his own obituary. 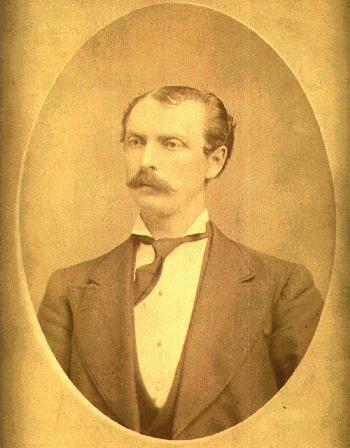 James Francis Tillotson was born in Brunswick. Medina Co., Ohio Aug 29th 1849, went with his parents to Duplain Clinton Co. Michigan in the Spring of 1852 where they resided till Nov 1865 when they came to the town of Crete. He has made his home near the Stock yds in Chicago since about 1873, was married to Miss Clara Staeler March 4, 1878. There were born to them five children. A little girl died Apr 13, 1885 aged eight months, a boy died May 21st aged three months. James's early death hit his father Franklin hard. Franklin, already ailing with what was probably early heart trouble, never recovered from the shock. His health declined steadily until his death in 1900. 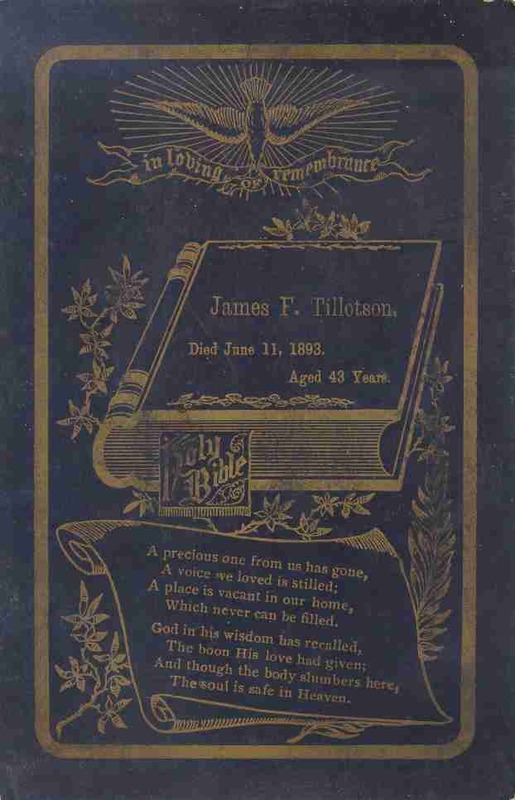 James Francis Tillotson is buried in the family funeral plot in Crete, Will County, Illinois. Back to Franklin James Tillotson. Back to Jane Ann Sexton Tillotson. Back to my Tillotson genealogy. Last modified by pib on June 13, 2018.